3.5 Did you make this recipe? 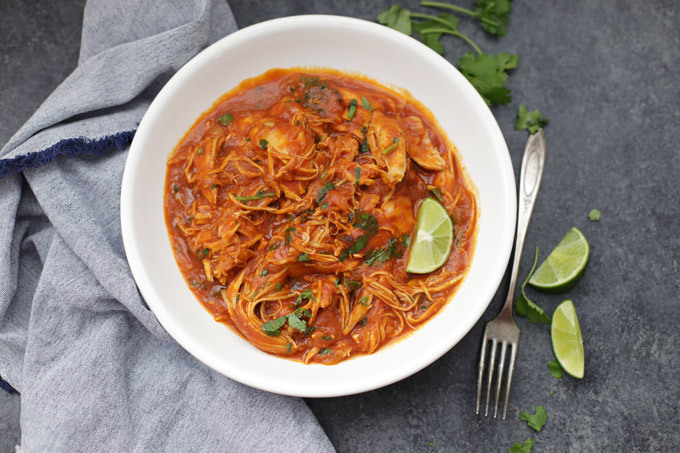 If you love actually did view and loved my Slow Cooker Beef Ragu recipe, then i assure you, you’re definitely going to love this Slow Cooker Chicken Ragu. Its true we all are looking for quick, easy, healthy and deliciously tasty recipes, am I right?! Well the good news is, this recipe hits that nail directly to the head! The preperation time is just 10 minutes, then for the slow cookers, they do all of the work to make this a deliciously flavorful dinner! Add the onion, garlic cloves and fresh rosemary to the bottom of a slow cooker. Season the chicken with the salt and pepper, then add to the slow cooker. 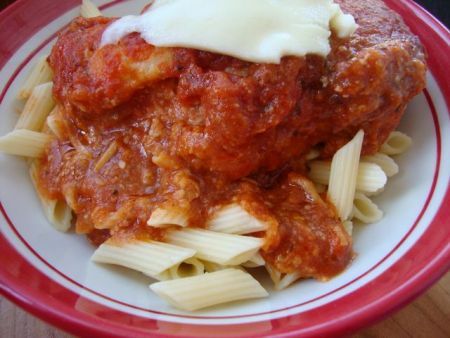 In a medium bowl, combine the chicken broth, red wine and tomato paste. Add the can of diced tomatoes to the slow cooker. 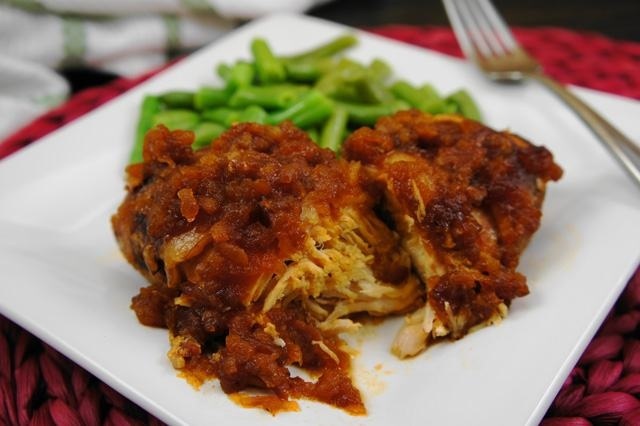 Reach a fork into the crock pot and the chicken will pull right apart. I highly recommend serving the chicken ragu over creamy polenta (to make a gluten free meal!) or papparadelle pasta. Use a ladle to pour the chicken ragu and tomato sauce from the slow cooker over the polenta or pasta. 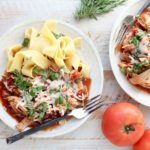 This easy slow cooker recipe for Chicken Ragu takes only 10 minutes to prep, then slow cooks all day for a delicious dinner!. This recipe easily serves 4-6 people, but also makes great leftovers if you’re only cooking for 2 people, like me! 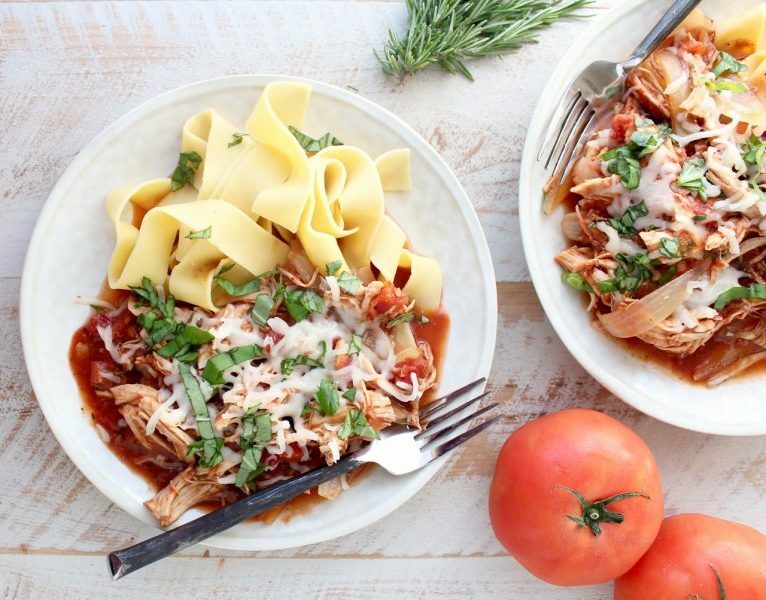 Note: This easy slow cooker recipe for Chicken Ragu takes only 10 minutes to prep, then slow cooks all day for a delicious dinner!. This recipe easily serves 4-6 people, but also makes great leftovers if you’re only cooking for 2 people, like me!